EIGHT people have been injured after an explosion at Chat Breweries in Luanshya yesterday. 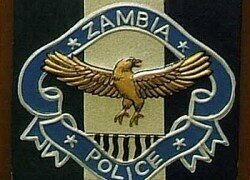 Both Copperbelt Province Police Commissioner Charity Katanga and acting Luanshya district commissioner Kasemuka Mwalo confirmed the incident yesterday. Ms. Mwalo said the incident happened in the morning around 09:00hrs. She disclosed that eight people who were all workers at Chat Breweries were injured and were receiving medical treatment. “I can confirm that there was an accident at Chat Breweries in Luanshya today (yesterday) which happened in the morning. Eight workers were injured, we had one who was severely injured and was taken to Ndola General Hospital, two were taken to Roan General Hospital and the rest were taken to Thompson Hospital,” Ms. Mwalo said. However, police indicated that only seven people were injured. Ms. Katanga stated that the accident occurred after a cooker blew up due to an electrical fault. “We received a report through the human resource officer at Chat Breweries in Luanshya Annette Mutale around 09:00hrs that the cooker to the brewer had exploded at the plant. Seven people have been injured and are admitted to Roan Hospital and Thompson Hospital. “All the victims are brewers and there was damage to the brewer cooker including two buildings nearby,” Ms. Katanga said. And Ms. Mwalo described the condition of the victims as stable, saying that doctors were doing everything possible to ensure that they got better. “According to the doctors, there is no need to panic. They are all in a stable condition and receiving treatment at various hospitals. The doctors have assured me that they are doing everything possible to ensure that the victims get better,” she said. Ms Mwalo said occupation safety officers were still on the ground assessing the real cause of the explosion. “We have sent a team on the ground to find out what really happened and we will be able to give a report on the accident,” she said.